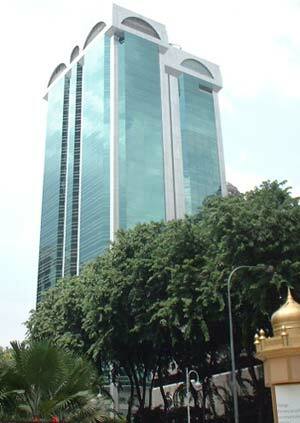 This 25 storey building is located on the corner of Jalan Sultan Ismail and Jalan Raja Chulan. It is the corporate headquarters of the Genting Group of Companies. CIMB and Maybank have branches located on the ground floor. Units for rent range from small to large. This building is fully occupied.